Clyde Beatty was the world’s first celebrated lion tamer back in the 1930s. As he got into cages filled with lions and tigers, the audience thought it was his revolver that disciplined the animals. In reality, it was the chair. If you are a salesperson getting started on how to use LinkedIn for sales prospecting, you’re much like that lion facing the chair. There are hundreds of ways to approach this task and to do that it’s often confusing. You can investigate your competitors’ networks. Connect with users who have interacted with your posts. Join groups. The list is endless! Most of the advice out there is overwhelming than actionable. To help you cut through the noise and make the most of this platform, we’ve developed an exceptionally simple framework. 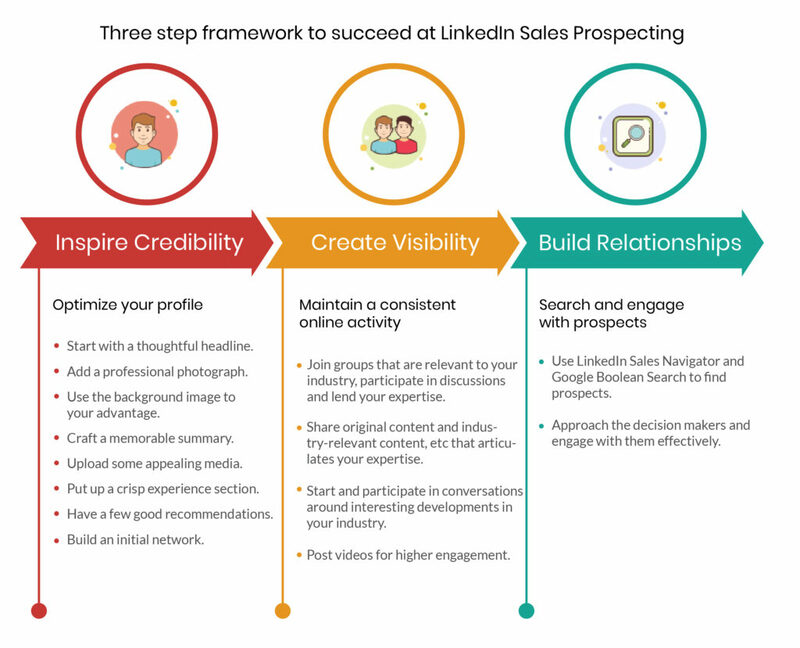 Everything you need to succeed with LinkedIn prospecting can be boiled down into this three-step framework. Step 1: Build credibility with a great profile that speaks to your audience. Step 3: Finally, don’t just wait for people to contact you. Go out there and build relationships. Find people who you can help with your product/service and start a conversation. 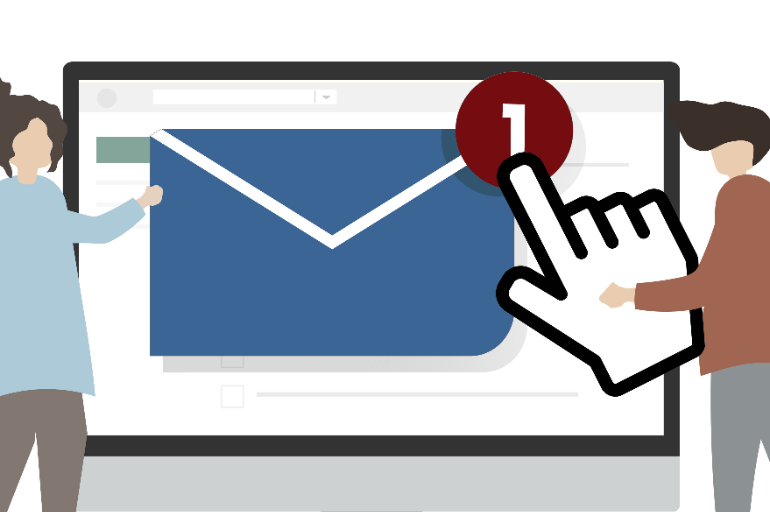 Send someone a cold email and what’s the first thing they are likely to do – visit your LinkedIn profile! Schedule a call with an inbound lead – and it is likely that they will visit your profile before jumping on that call. Get introduced to a prospect via a mutual acquaintance. And they will likely look you up on LinkedIn before responding. It turns out, almost everyone you do business with will visit your LinkedIn page. This presents a golden opportunity. An opportunity where you have the undivided attention of your prospect for 30 seconds. Think about this for a moment. At no other point in your relationship are you likely to get such an opportunity again. An opportunity to wow your prospect before they even speak to you. To establish yourself as someone they want to do business with. Utilize this opportunity to create a memorable impression – convey who you are as a person, your mission, your motivation behind work and your credentials. Here is what you need to do to use your profile to establish credibility. If there’s one sentence on your profile that you want to be really thoughtful about, it is probably this – the headline. The reason is simple: the headline appears everywhere – in the news feed, search results, LinkedIn inbox, “Recommended to connect with” feature, “Who has viewed my profile” feature etc. A good headline conveys what is it that you can do for the reader in 6- 8 words. Display pictures remove anonymity and add a human touch to what could otherwise be a cold exchange. It helps your viewers know that they’re dealing with a real person and they are more likely to engage in a conversation with a friendly face. In fact, just adding a professional picture to your profile increase its number of views by 11%. Put a recent, up-to-date professional looking photograph where you come across friendly and approachable. The key here is to make a prospective buyer feel confident about connecting with you and look forward to conversing with you. The background image is a fairly large and valuable piece of real estate in the profile that most people do not take advantage of. The dimensions of the image make it attractive to load a large wide-angle picture. It is a great place to show off the accomplished side of you. If you have pictures from speaking engagements, conferences, this is a great place to showcase those. Even better, choose a picture that also has your company logo prominently displayed. 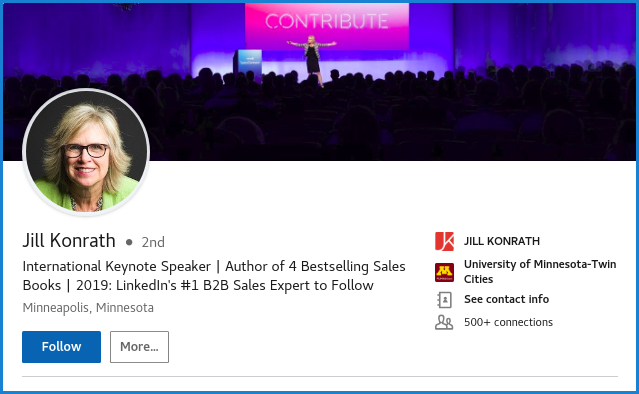 Here’s an example where Jill Konrath uses one of her speaking engagement photographs as a background picture. The summary is the text that appears immediately below the connect/message button. Typically, LinkedIn shows a 300 character snippet – which can be expanded on clicking. It is important that your first 1-2 sentences in the summary draw attention and invite the user to read more. A summary is a great place to tell a story about your work life and spark interest in the reader. This is also a good place to talk about your mission statement/ goals/ objectives etc. Something that appeals to emotion – because the rest of your Linkedin profile is more factual. Convey the motivation behind your work, the results you’ve driven, the pain points you’ve solved and your noteworthy accomplishments. Also, remember to add a few specific keywords your buyers might search for. 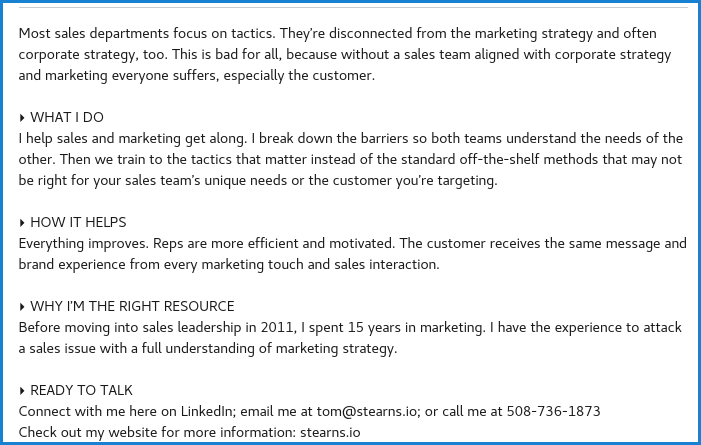 Finally, the last few lines of the summary should describe why and how should a prospect connect with you. As a salesperson you want to be approachable – and yet not appear too eager. It is a fine balance to strike. Relevant, interesting media can stand as testimonials to your work and boost trust among your audience. There’s a whole bunch of options here – videos, blog posts, PDFs, presentations – choose your best work and add them up! Here’s an example of some media added in the summary section. If you have ever written a resume, you know how this section works. Go ahead and be sure to fill it up. Begin each work experience section with a small introduction about the organization and then brief about your work there. Ideally, make a small bulletin list of 3-4 points giving details of your role under each position. A recommendation is an external validation of your expertise. A positive recommendation increases the credibility of your profile. It’s a great way to draw attention to the skills and experiences you possess. Always ask for recommendations from the people who know you well – who can best speak about your aptitude in a particular domain or shed some light on your accomplishments. A recommendation like this can do wonders for you! If you already have 150-200+ connections, feel free to skip this point. The number of connections you possess on LinkedIn also reflects the credibility of your profile. Nothing screams “newbie” than a profile with 20-30 connections. Rather, you want to be able to show off your network. 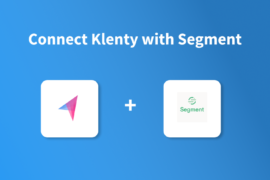 Begin by connecting with everyone you know – your friends, classmates, alumni, colleagues etc. 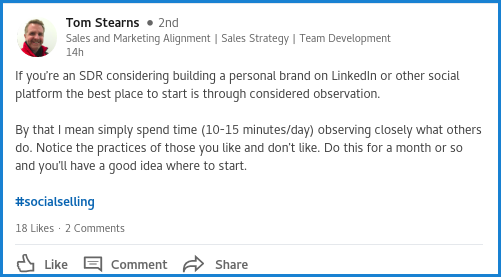 Your existing network is a good starting point to make more important and relevant connections as you progress in your LinkedIn journey. Your buyers are all on LinkedIn. They consume content, post updates and make connections. If you can actively show up in their daily feed, talk about the problems they face, they are bound to take notice. Elevate your visibility and you make it easier to for people who need your help to find you. If done in a focused, systematic manner, this can keep you stay top of your prospects’ minds. LinkedIn is a great platform to achieve all of this. There are over 2 million groups on LinkedIn, making it a great place to network with potential prospects. Join groups that are relevant to your industry/ prospects. You can join up to 50 groups on LinkedIn. Feeling adventurous? You can even start your own group! Mere membership in groups is not going to make people notice you unless you engage with them on a regular basis. Participate in discussions, lend your expertise to benefit the conversation and display your interest. Check into groups at least 2-3 times a week. Discuss the problems facing your buyers and offer possible solutions – without necessarily directly pitching your product. Your value addition will be rewarded with people asking for help, advice or maybe even your service as well! The more you project yourself out there, the higher will be the number of connections reaching out to you. Sharing content that is relevant to your industry is a great way to stay visible among prospects. Start by sharing the content produced by your company – it could be blog posts, product demos, company collateral, whitepapers, ebooks, videos etc. Add industry-relevant content from research papers, industry experts, news etc into the mix. Remember it is not just about dropping links in your feed or in groups, it is also seeding them with your point of view – so that you can get a conversation started. Find relevant and interesting developments in your industry and use them to start conversations. You can write a short note/ a few sentences sharing your opinion about recent trends, changes, technology or ideas. Tag others who may be interested in chipping in with their comments. 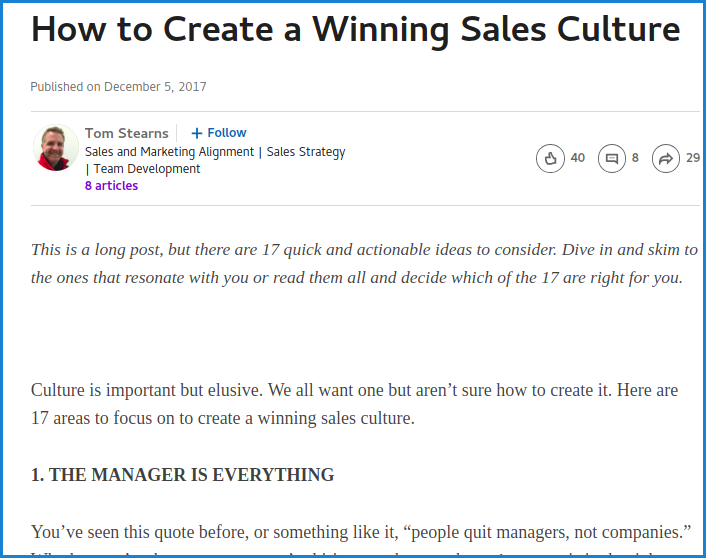 From time to time, publish some original content – content that articulates your learnings, expertise and can help position you as a thought leader. Publishing fresh, novel content nurtures your audience, provides them value and establishes you as a thought leader. Videos are quickly becoming a popular choice of content in LinkedIn – and the engagement/ reach in video posts are much higher compared to plain text posts. 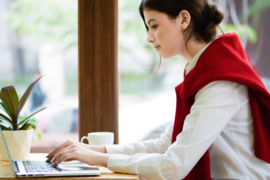 Overall, when it comes to creating visibility, the key is to be consistent, to appear regularly in your prospect’s feed and stay top of mind when they need you. 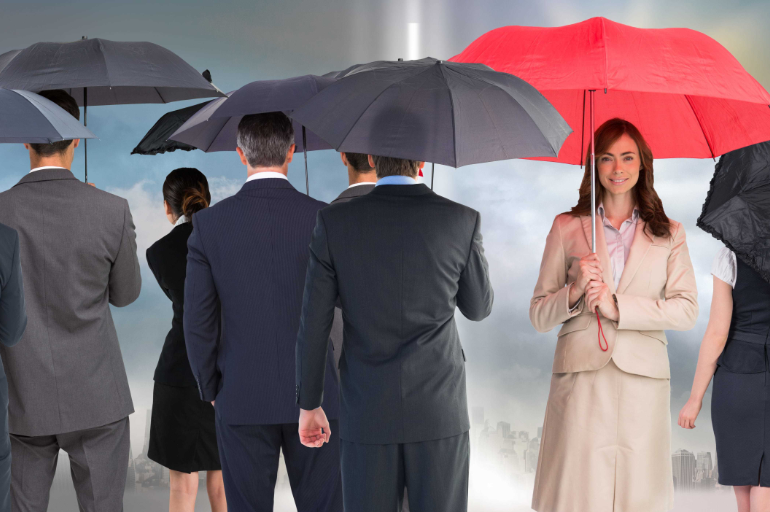 Building a great presence and creating visibility will help prospects find you. At the same you, it is important to proactively reach out to prospects who you can help and start a conversation with them. Have a clear definition of your buyer persona or Ideal customer profile (ICP) before you start searching for prospects. This usually comprises of your target niche, company type, number of employees in it etc. 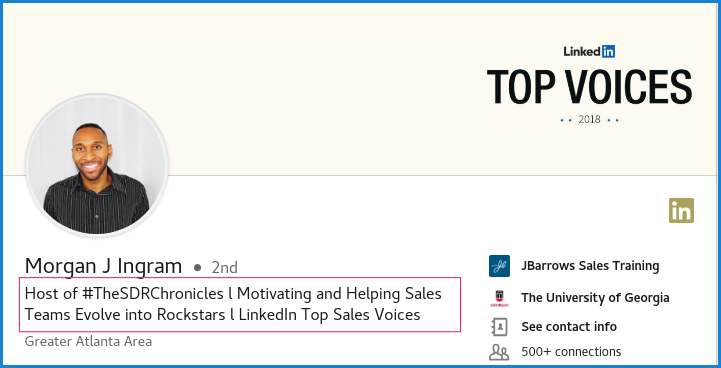 If you’re serious about generating leads from LinkedIn, Sales Navigator can be a great tool. 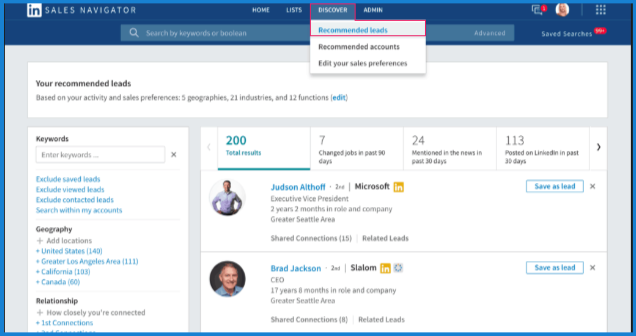 Tailor-made especially for sales professionals, LinkedIn Sales Navigator helps you narrow down your search, engage with prospects and increase your chances of conversion. It allows you to focus on the right kind of prospects by giving valuable insights and information about the decision makers. This way, you can find the right prospects, personalize your approach and build trusted relationships. This helps narrow down your approach based on geography, industry, company size and function. Based on this preference, Sales Navigator will show you relevant lead recommendations. You can also view these preferences whenever you visit a prospect’s profile. This is where all the magic happens! 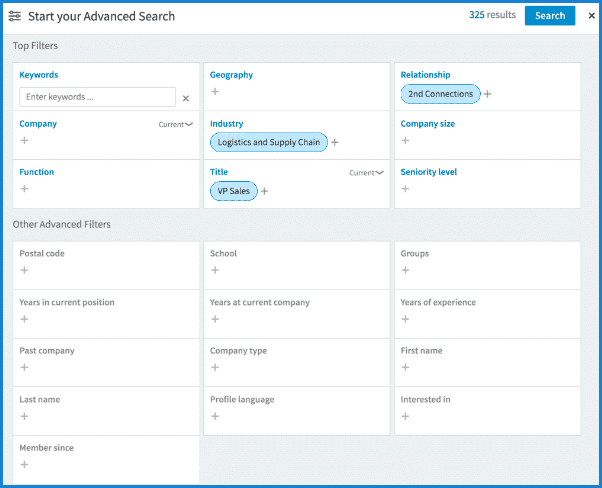 Advanced search allows you to apply over 20 filters including keywords, titles, seniority level, groups etc., making it hyper-focused in your list building. 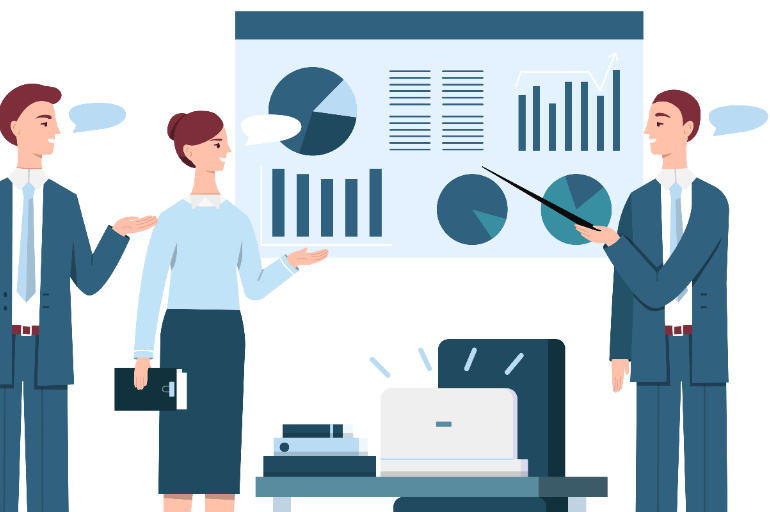 Sales Navigator helps by combining your sales preferences, search history, and profile interaction data to offer tailor-made lead recommendations. You can find these recommendations by clicking on the “Discover” link in the main navigation menu on the top of the page and selecting “Recommended leads” from the drop-down menu that appears. 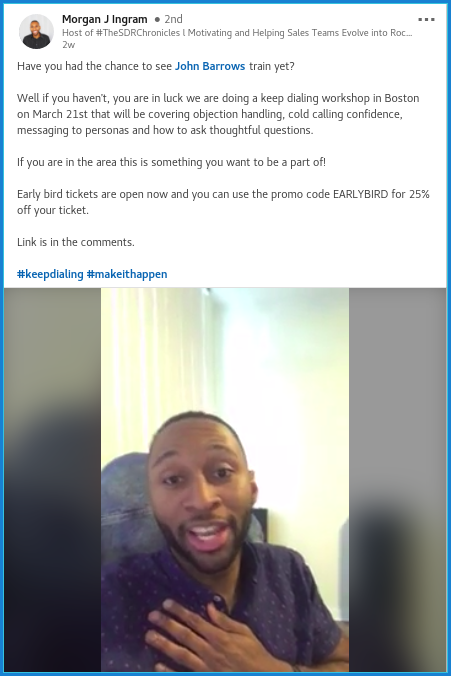 LinkedIn InMail messages allow you to message prospects who aren’t your first degree connections, allowing you to directly engage with your prospects. 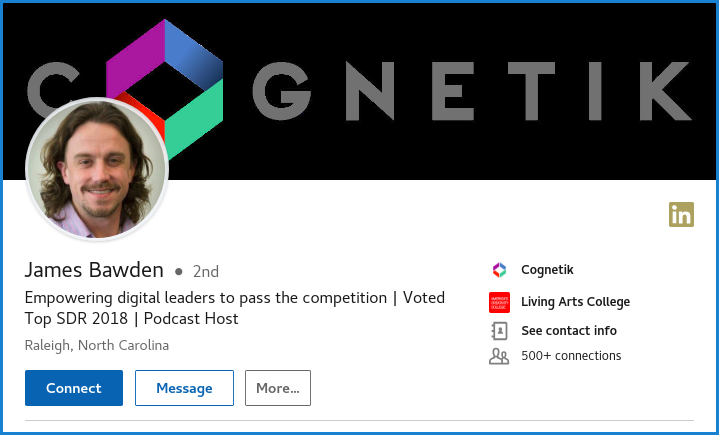 LinkedIn insights give you inputs about your leads activities – if they’ve received funding, changed jobs, held events etc – saving you from the tedious task of manually tracking their activities. You also get to see who’s viewed your profile in the last 90 days. Boolean Google search is a free alternative to Sales Navigator that helps in finding relevant LinkedIn profiles. 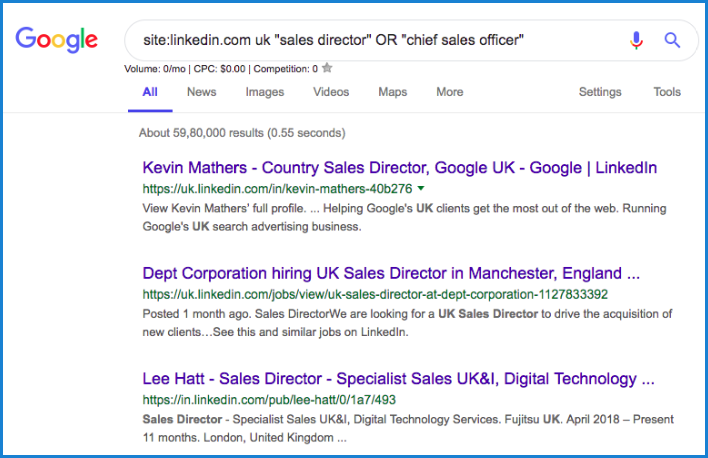 The next time you use Google to search for leads, try using the Boolean operators such as AND, OR, NOT and quotation marks. Once you have a list of your ideal prospects ready, the next step is to start approaching them. There is really only one advice to bear in mind while approaching prospects: be authentic. One of the biggest mistakes reps make on LinkedIn is that they get into pitching too quickly. The key here is to keep your pace gradual and slow like you’re approaching someone for a date. Don’t make the blunder of sending blank connection requests. Instead, take some time out to research the prospect and send a short note on why you’d like to connect. 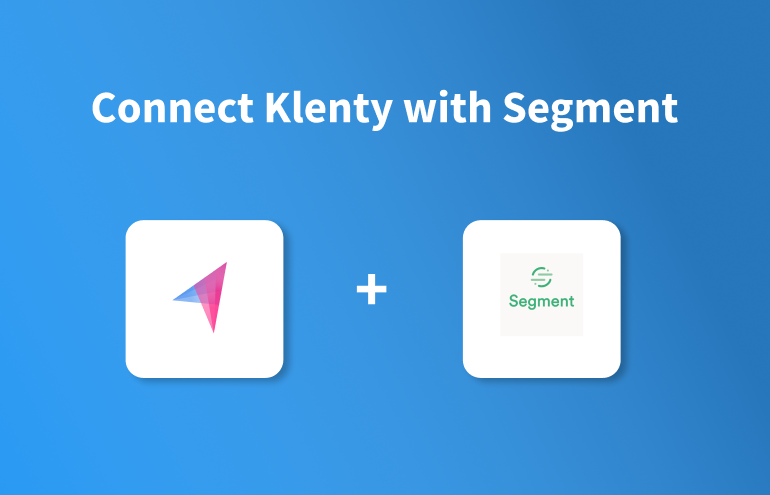 Once you’ve sent a personalized connection request, they are likely to come visiting and this is where your optimized profile works its magic. Once a prospect has accepted your connection request, send a casual thank you message. You can send an open-ended offer to help them in your area of expertise. At this point, you can engage with some of the prospect’s content, as it is a nice way to build relationships – comment on posts, start a discussion, dish out genuine compliments – anything! 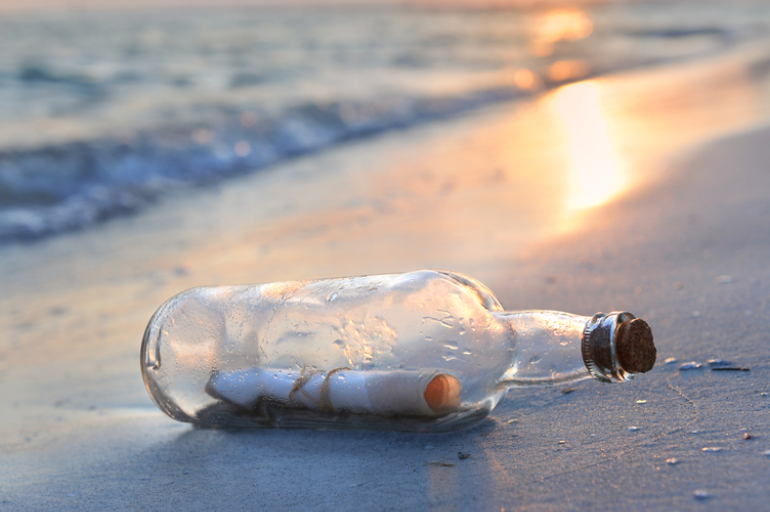 Follow up with the prospect by sending something of value – the idea is to help the prospect in some way. 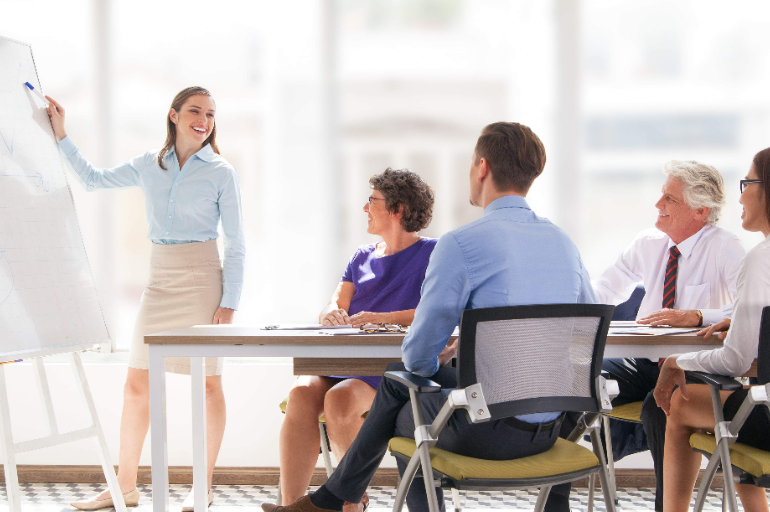 By giving away something that’s important to your prospect, you build trust and position yourself positively in the prospect’s mind – leading to a conversation! The purpose of LinkedIn is not to close the deal, but to get the prospect talking. 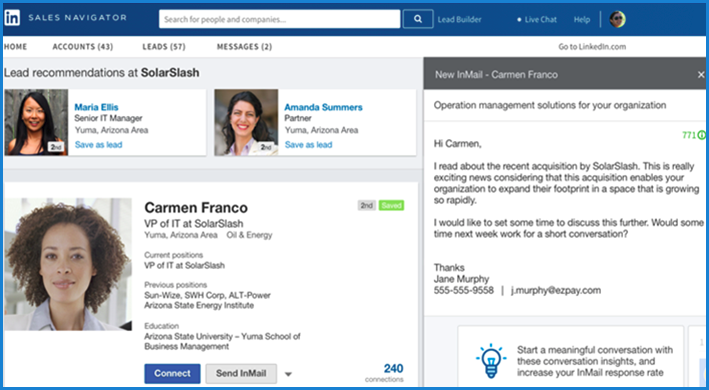 Use LinkedIn to generate enough interest among your prospects and intrigue them to move the conversation from LinkedIn to a call or an email conversation. And the easiest way to do that is to show interest – ask questions about your prospect’s business goals, interests, their posts etc. Eventually, offer to help – talk about how your product/service could help them. As long as your prospect remains the priority in your conversation, you will always win as a salesperson. Anything that gets measured gets done. LinkedIn provides an easy metric to track how effectively you are actually using the platform. 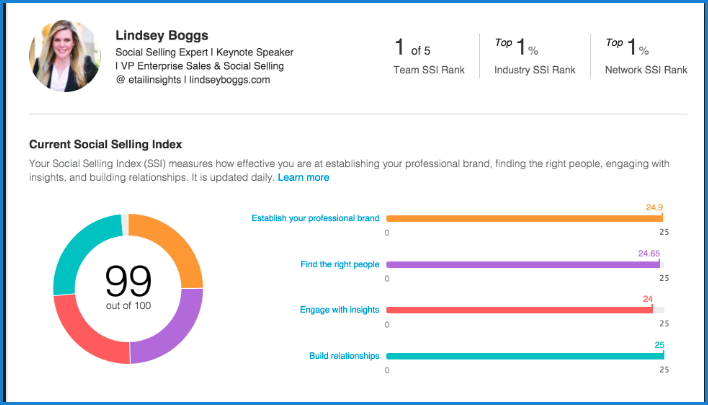 The LinkedIn Social Selling Index helps you assess your social selling game. It tells you how well you’ve leveraged LinkedIn into your sales process and lets you estimate the impact of your efforts. SSI measures your performance against four benchmarks – establishing your professional brand, finding the right people, engaging with insights and building relationships – on a scale of 0-100. Every single potential buyer for your product or service is on LinkedIn – just waiting to be contacted. For salespeople, this presents a golden opportunity – to prospect better and raise their sales game to a higher level. But quite often, most salespeople only seem to scratch the surface of this platform leading to negligible results. 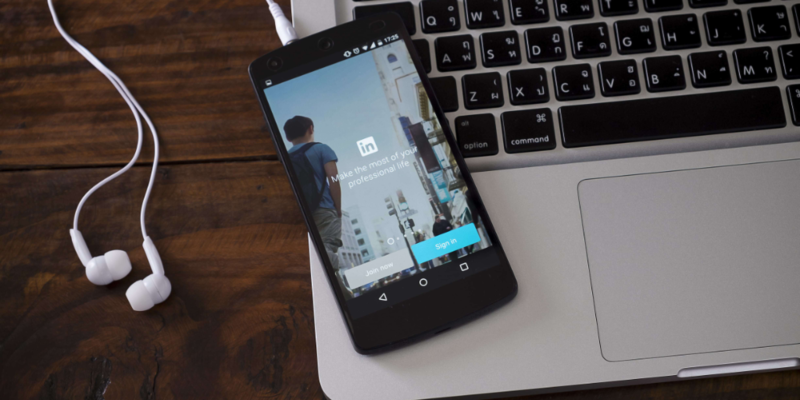 If utilized properly, LinkedIn can be a great source to generate leads and drive more sales. All it takes is a simple and repeatable process. Keep your profile fresh and impressive. Create visibility for yourself. Build strategic relationships. And you are on your way to social selling mastery using LinkedIn!